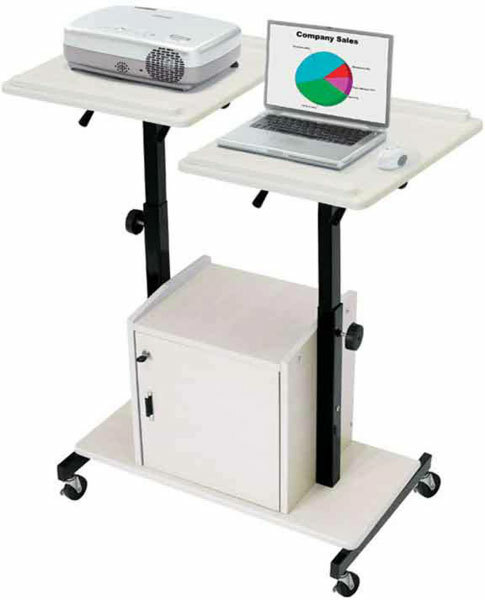 The PRC300 is an attractive presentation cart that is designed with a built-in locking storage box to secure your AV equipment and other valuables for convenience. 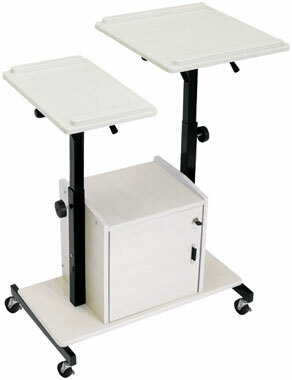 Both of the tops are independently height adjustable and tilt on demand. The upper top adjusts from 34"-44" while the lower adjusts from 28.5"- 38.5". Comes standard with a six-outlet power strip.